There's a big hairy monster in Far Cry 5, so fans believe. Currently players are scouring Hope County for the Far Cry 5 bigfoot location, but he's yet to be found. There are some clues, however. The word ‘Squatch' refers to the alternative name for Bigfoot. As you head to the search zone looking for the prepper stash to locate Dansky and his key, there's a cave with a dead body outside. It suggests that Bigfoot may have been here, but he doesn’t seem to be around now. So far Bigfoot’s location remains a mystery, but when you head back to the cabin with the key, there's further clues inside. This includes a map on the wall, showing where there's been various sightings of the Sasquatch. There's also a clay footprint of Bigfoot on the desk. You can see all this in the video below. 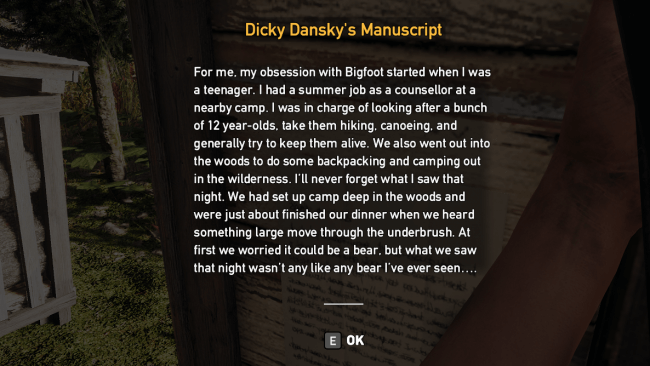 The biggest clue so far as to the Far Cry 5 Bigfoot location comes from footprints discovered around Lookout Point, near to the location of the prepper quest. The big ape-thing has obviously been here. Then there's Dicky Danksky's manuscript. He describes that he saw Bigfoot while out camping in the wilderness. One Redditor believes this location could be Breakthrough Camp. If you find Bigfoot in Far Cry 5 let us know. Until then, the hunt is still on! 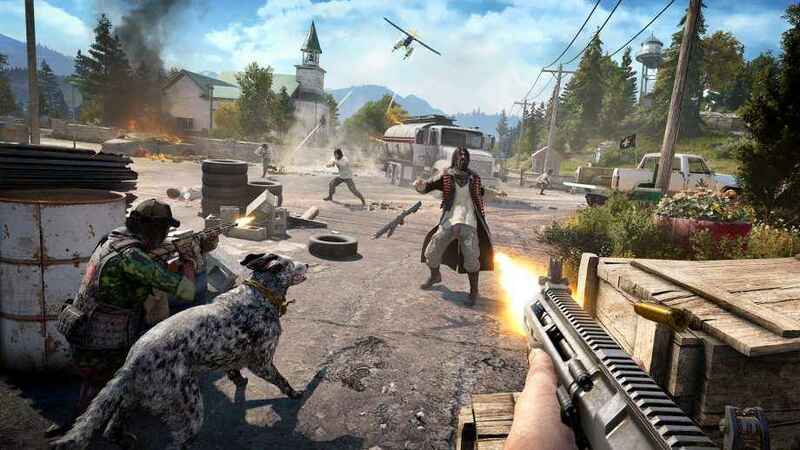 In the meantime, check out our Far Cry 5 guides.